Lisa Orban is an author and the founder of Indies United Publishing House. She began her writing career in 2015 with her first book It’ll Feel Better when it Quits Hurting, a memoir. Since then she has published eight books, in four distinct genres, two memoirs, a cookbook for people who hate to cook, a political satire and four optical illusion coloring books. In 2017, she opened Indies United to help Indie authors gain the attention their books deserved and to bring new and innovative books to readers around the world. My name is Esther Rabbit and I am a content creator for upcoming writers. I’ve had the pleasure to work with and interview internationally bestselling authors, indie authors and all sorts of professionals in the writing industry on my quest to solve a series of doubts for the upcoming author. In today’s interview, Lisa opens up about the truths and myths around traditional publishing versus self-publishing, and all the steps an author needs to take from writing to publishing their novels. Here is my personal guide with documented experiences From Writing To Publishing so don’t hesitate signing up to my Newsletter for the latest and greatest. 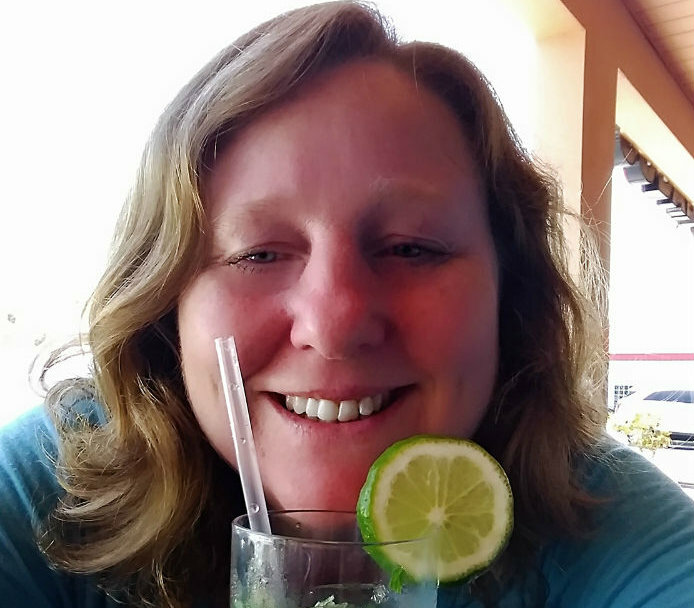 I hope you enjoy this Q & A with Lisa and if you would like to reach out to her you can find all her contact information at the bottom of the page. Esther Rabbit: What’s your own definition of an author / indie author? A writer, to my definition, is anyone who takes up the task of writing down their words with the goal of creating something for others to read. An author is someone who has taken the next step forward and published those words for the world to read. Esther Rabbit: What’s your definition of the first draft? I quite fondly refer to all my first drafts as “word vomit”. In my first draft, my only goal is to get my thoughts down as fast as my brain comes up with them, without worrying about things like grammar and punctuation, or even dialogue. I just want to get my ideas down and let the story take shape as it meanders through my mind uninhibited by any restraints. My second draft is going through and removing everything that doesn’t make the story move forward in a smooth arch. Which generally means I will take out at least half of my words before I even begin to pretty it up as my working draft. Esther Rabbit: What are some of the myths around self publishing / traditional publishing? I will tell you a true story. When it comes to publishing, Indie authors are often seen as the unwanted stepchildren of the publishing world. Often seen as “failed” authors, and rarely do they get the attention they deserve because of this industry bias. Now, it is true that there are some awful Indie authors out there who are willing to throw anything up and hope they get something back for their efforts. But, the majority of Indies are actually very self-conscientious in their desire to produce a well-written and compelling book for their readers. Most traditional publishing houses see themselves as the gatekeepers of quality, and so, it is in their interest to keep the myth of the failed author alive. It drives up the desirability of their chosen authors, while downplaying the contributions of Indie authors to the publishing world. When you think about it, there is an almost unconscious eye-roll among the general public when someone says “self-published author” because of this deeply held misbelief of poor quality. But the truth is, publishers will only select a few authors each year to add to their house, and it is all based on what they believe the mass market will enjoy, rather than the quality of the story. They are looking for commercial viability, and tend to avoid any type of story that has not had a proven sale record for them in the past. They are not interested in the innovative, but in the profitability of various well-established genres types, and generally, will not take a risk on anything that falls outside of their established norms. What this means for many authors is that their voice will never be heard, unless they take a leap of faith and publish on their own. And it is not an easy choice to make, because every author believes, deep down, in the system. They want their books to be seen as a legitimate to their audience, and so many will attempt to follow the proscribed path of seeking a publisher for their book, sometimes for years, before taking the step of self-publishing. Nor is self-publishing an easy choice for authors. It means taking time away from writing and spending it on marketing and promoting, sometimes to the point where writing takes a backseat while they strive to be heard above the din of millions of other authors and publishing houses all vying for the attention of readers. It can be difficult, time consuming, and expensive, since Indie authors must pay for all of this out of their own pocket. But, if you believe in your words, and have faith in yourself, it can be worth it. But no author should ever go into publishing thinking they are going to suddenly get rich overnight, even if they do get accepted by a house. The average salary of a house author doesn’t even break the poverty line. With a house, you may get a mostly stable yearly income for a set number of years, but that doesn’t necessarily mean you’ll be getting a living wage during that time. In the end, there are both good and bad authors out there, and on both sides of the publishing aisle. It is up to readers to find and support the books and authors they love, and not be ashamed if that author happens to be indie published. Esther Rabbit: How do you manage to juggle life and writing? When I published my first book, I struggled to do everything. To write, to market and promote, and then also keep up on all the daily living activities you are supposed to do as a responsible adult. And I was, in truth, becoming burnt out. I was getting up every morning at 6am and often didn’t stop until 11pm, or later, as I tried to stuff everything into one day, every day. Now, I’m not recommending anyone live in squalor, but what I took from that is I didn’t have to be everything to everyone all the time. It was okay to let the clean laundry sit in a basket unfolded, or let dishes pile up on occasion or feed my kids a pizza instead of cooking a meal. That it was okay to let things slide a bit and live a less than perfect life while I pursued something I believed in. I no longer try to get everything done in a single day, I sometimes let things slide, and I even allow myself to take a full day off to do nothing. Not write, not market or promote, not clean the house, or make dinner. Once a week I give myself permission to do nothing that is not relaxing for a full day. And it made all the difference in the world for my well-being when I allowed myself to live within realistic human expectations without guilt. I still do pull the occasional late nights, crazy working hours, and rush around crazy trying to meet several deadlines all at once, but I don’t live that way every day anymore. And neither should you, whatever your occupation may be. 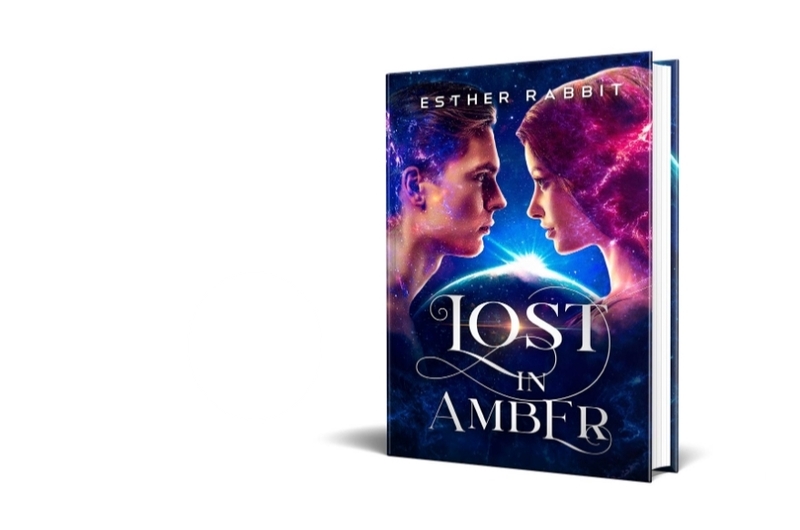 Esther Rabbit: What’s an approximate price authors would pay to get their precious out there into the world of eager readers? This is a tricky question to answer, but I am going to try anyway. Let’s start with, a lot. A good solid number right there, right? But, I won’t lie to you, it will be expensive to self-publish a book for a number of reasons. First, everything from editing to cover art to marketing will rest entirely on the author. How much you choose to spend on each of these activities will be up to the author, but it won’t come cheap. I’m going to give a basic list of things you will either need to pay someone for or learn to do yourself or purchase/acquire before your book is even put before the pubic. Then, once your book is completely put together and ready for publishing, you need to decide what is the best marketing plan for your book before you upload it. Some authors choose to only upload their book to Amazon, other want to go wide and hit every market they can. Most distributors offer free submission, others, like IngramSpark have a set up fee. Research will be the key to deciding what your best option is for publishing your book. If your goal is to simply reach individual readers, Amazon, Smashwords, and Barnes & Noble all offer free submission and direct access to readers. If you are looking to market your books to libraries and bookstores, you will need to use distributors such as IngramSpark, Smashwords, and D2D. Or, you can choose to use all these platforms, but before you do, you will need to set up your distribution channels in a way that does not inhibit you form utilizing all of them, such as checking “expanded distribution” or enrolling your eBook in KDPSelect, which makes your eBook exclusive to Amazon. Now would be a good time to briefly touch on what an ISBN is and why you should not use the free ones offered by many online book distributors. ISBN stands for International Standard Book Number. This means, no matter where your book is at, this number will allow anyone to look up the information about your book, the author, other contributors, size, format, publisher imprint, and other information pertaining to your book. When you use a free ISBN, it is not transferable to other distribution sites, and lists that distributor as the publisher. So, instead of having one unifying ISBN for say, your paperback, you instead have multiple ones spread out all along the internet, making it more difficult for people to order, or even find, your book. Bookstores and libraries tend to avoid purchasing any book with a free ISBN, and so that limits your potential to get your books on the shelves of stores and libraries. It also puts you in what is considered the lowest class of Indie author. The assumption being, if you cannot afford to purchase an ISBN, then you probably have not put the required amount of effort into creating a publishing worthy book. Or to put it more simply, you’re too cheap to have done it right. I realize this is unfair, ISBNs are expensive to purchase, and even I myself when I first published, used them. But, fair or not, it is another stereotype you will have to overcome, in an already long list of things, if you choose to use a free ISBN. And then there is the marketing and promotion once your book is published. This will not be cheap, and it will be time consuming as well. To have any hope of being noticed, most authors will spend a minimum of $100 per month to get out in front of readers, and there will be a lot of trial and error as you strive to find the balance between cost and effectiveness. There are sites out there that do offer free advertising, but you often get what you pay for. But, I will not say that I have not used them in addition to my paid advertising to help bolster my visibility. So, there is the initial expenses as outlined above, which could run an author anywhere between $200 and $2000, depending on how much they are willing to learn to do on their own, and then there are the ongoing expenses of keeping your book in the eye of the public. Which brings us back to, a lot. Esther Rabbit: What are some major setbacks of this profession? The first thing an author learns once they begin in earnest to get their book out to the world, is in this profession, everyone EXCEPT the author is guaranteed a paycheck. Editors, publicists, promotional venues, cover artists, and everyone else involved in creating, marketing and promoting your book will get paid. Only the author is left in a sea of uncertainty of revenue every single month. The one entity that this entire industry is built upon, is the only one who will never be guaranteed to get back out of it, what they put into it. And each author will have to reconcile themselves to this very bleak reality. You may have written the next great American novel, but that is no guarantee that you will ever be acknowledged for it. You may end up writing a fabulous book that will never receive the recognition it deserves. Because luck is always a factor on who makes it, and who barely scraps by each month. There’s no real rhyme or reason to who makes it and who languishes, other than the ever changing tastes and attitudes of book buyers, and a bit of luck. So, as each author works diligently to get their books out in front of readers, we all pray for that little bit of luck that will put us on the map of people’s awareness for our books. My goals as an author has changed dramatically over the years with each new book I have published, and now again after I opened my publishing house. Some of the goals I set for myself have come to fruition, others I’ve had to let go with new realities swaying my outlook and expectations. Now, my goals include not just my books, but every book placed in my care by my authors. I have hopes and dreams for all of them and work hard every day to bring their dreams into the realm of reality. But, for my immediate tasks, first is to bring more authors into Indies United. As a co-op each new author added is an additional voice to help raise us all above the din of advertising. We currently have 15 signed authors in every stage from already published their second book with us to putting the final touches on their first book prior to publishing. My goal by the end of the year to have a hundred authors signed to Indies United. My next goal is to start getting each of my authors into libraries and bookstores across the country. Since most bookstores prefer to work with publishing houses that have a variety of books to choose from, the more authors we have, the better our chances of getting our books on those shelves. After that, it is to get Indies United into more book fairs and festivals. Our first one of the year is in April for the North Texas Book Festival, but my hope is to eventually go and showcase our authors once a month in book fairs and festivals across the country. Next, I’m not sure. On a personal note, it would be to finish the third book in my memoir series, Good Friends bring Shovels. I hope to have it in final form by the end of the year. And finally, to become rich and famous, of course 😉 The ultimate goal of every single author who has ever put their book out into the world for readers to find. I hope you’ve enjoyed reading my answers, and if you had any other questions you’d like to ask me directly, you can always reach out to me on social media or through my email. If you ask a really good question, it could end up as a video on my YouTube channel series, Trust Me, I’m an Author, as well. If you would like to find my books, you can find all of them on the Indies United website.